Why not give a gift this year that has a deeper and more lasting impact through an investing education? You wouldn't only be benefiting the recipient of your gift; improved financial literacy can have a ripple effect throughout society. 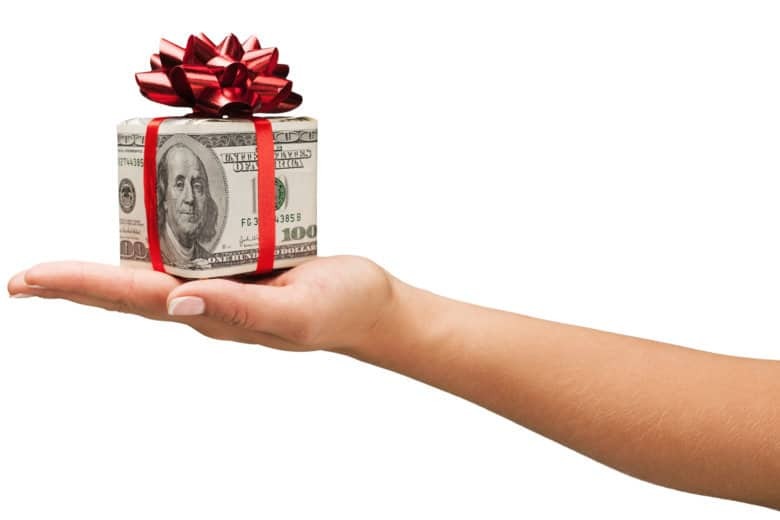 Here are eight financial gifts that give the gift of an investment education. These gifts keep on giving with an investment education. ‘Tis the season for mass consumerism disguised as gift giving. While everyone else is spreading materialistic cheer, why not give a gift that has a deeper and more lasting impact through an investing education? You wouldn’t only be benefiting the recipient of your gift; improved financial literacy can have a ripple effect throughout society. The more people who are educated and aware of their own personal financial success, the better off we’ll all be in the long term, says Chuck Cumello, president and chief executive officer at Essex Financial. To make the world a better place, here are eight financial gifts that give the gift of an investment education. The best finance books to gift. For younger audiences, Cumello likes “The Kids’ Money Book” by Jamie Kyle McGillian (grades 3 to 5). Or for an even younger audience, try “The Squirrel Manifesto” by Ric Edelman and Jean Edelman for ages 4 to 8. Teach investing with a custodial account. Start them investing with a 529 college savings account. If you want a bit more structure (read: limitations) to how your gift can be used, consider a 529 college savings account. 529s achieve two goals, says Marilyn Weaver, vice president and financial advisor at Presidential Wealth Management: You provide for the child’s education and get to reduce your taxable estate (up to the annual limit of $15,000 per person). You can then “talk about the difference between putting your money in the bank versus an investment account,” she says. Since many 529s use age-based portfolios which adjust their allocation to become more conservative over time, you can use a 529 to teach the tenets of diversification and how allocation affects risk. Give them a jump-start on retirement savings. For older gift recipients or longer-term savings goals, consider a trust account that can be used to save for the recipients’ retirement. One example is the Retirement InCome for Everyone Trust (RIC-E Trust) at Edelman Financial, a variable annuity that lets you set money aside for a beneficiary’s retirement. Until then, the recipient can make changes to the investments but cannot take money out. Investments grow tax-deferred and incur no advisory fees from Edelman, but the annuity has its own expenses. The Ric-E Trust isn’t just for kids, either: Anyone can establish an account for a recipient of any age. The oldest beneficiary thus far is 52, Edelman says. Investing apps teach investing through hands-on experience. To let a recipient really get a hands-on investment education, look no further than the plethora of investing apps available. Investing app gift cards are “great for new investors who are just trying get the lay of the land,” says Shannah Compton-Game, a Los Angeles-based certified financial planner and host of the “Millennial Money Podcast.” For example, Stockpile, which was founded on one man’s desire to gift stock, lets you gift whole or fractional shares of 1,000-plus stocks and ETFs (no account necessary). Give any dollar amount up to $2,000 in any stock or ETF or let the recipient choose where to invest. Acorns, a micro-investing app, also provides gift cards in increments of $25. Create your own stock certificates. The trouble with gifting investments is there’s seldom anything tangible to give (other than statement printouts). Back when you used to get physical stock certificates, gifting shares of a company like Walt Disney Co (ticker: DIS) was a fun gift. With Disney’s decorative certs, you could hit the fun quotient and give a tangible gift that would hopefully be worth a lot over time, Cumello says. To bring back the novelty of physical stock certificates, they’ll draft their own “fancy-looking” certificates à la Disney to give recipients. Certificate in hand, you can begin to educate your recipient about stocks and the stock market, Cumello says. Teach investing with the gift of a meeting with a financial advisor. A great educational tool (albeit one which may not check the “fun quotient” box so readily) is the gift of a meeting with a financial advisor, Cumello says. Trying to get any young adult focused on finance can be an arduous task, he says. Financial advisors have access to resources to make it more engaging and visual. You can see the light bulb go off and their interest rise when you turn the monitor around and show them the difference between starting to save for retirement at 21 versus 35, he says. To make the meeting more appealing upfront, consider tying it in with a fun outing like lunch or ice cream. Give them a hands-on investing education at an investing workshop. If a one-on-one meeting with a financial advisor doesn’t appeal, you might gift an outing to an investing workshop. Compton-Game recommends bestselling author and hedge fund manager Phil Towne’s 3-Day Transformational Investing Workshop. She’s heard great feedback from people who have attended past workshops. “You don’t have to be a super-savvy investor to attend,” she says. “You just have to want to learn how to do value investing and be willing to spend some time learning the ins and outs from (Towne).” If Towne’s workshop is too far to travel (next one is in Atlanta), try a Google search for “investing workshops near me” to find a more local offering. Teach your loved ones how to invest with one of these gifts. — Give a book on investing. — Open a custodial account. — Start a 529 college savings account. — Invest for their retirement in a trust account. — Give an investment app gift card. — Create your own stock certificate. — Pay for a meeting with a financial advisor. — Enroll the recipient in an investing workshop.